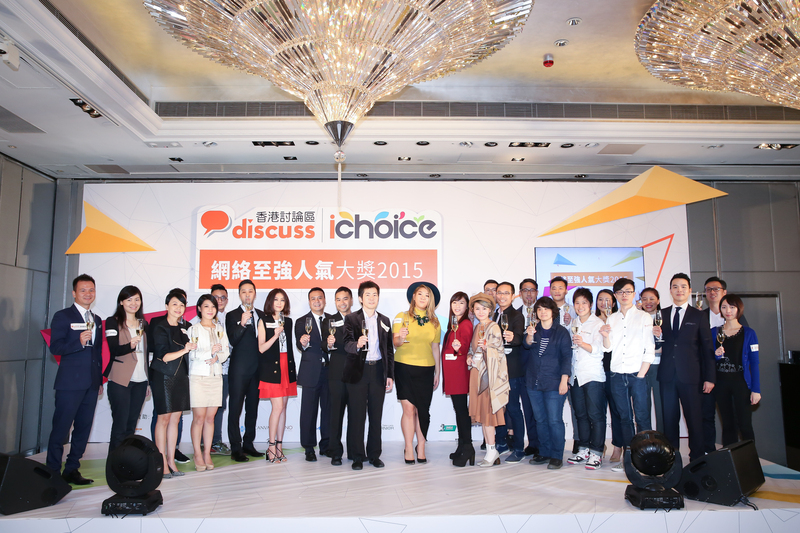 The annual grand online event Discuss iChoice Awards 2015 was completed with success on 27 Oct 2015 at The Mira Hong Kong. Categorized into “Digital”, “Life Style” and “Entertainment”, a total of 27 awards were given. The event was hosted by the popular DJ of Commercial Radio Sammy Leung, the famous former anchor of TVB News Ryan Lau was invited to interview the awarding guests regarding their success in online marketing. Pop singers Joyce Cheng, popular YouTubers Szetosifu, beauty blogger Hana, famous columnist Daisy Wong, and the young female magician Miss Hunny were also invited to be the award presentation guests.